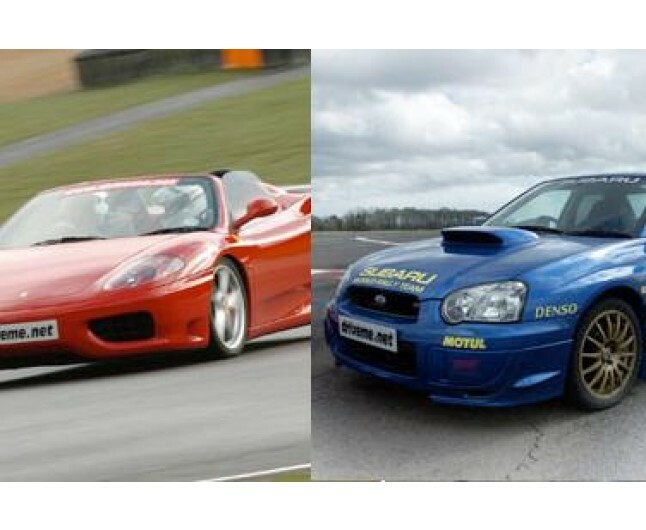 Feel the force of the Ferrari 360 and the Subaru Impreza WRX sti first hand! 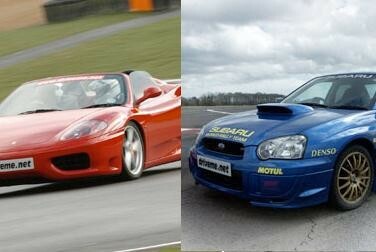 Drive two of the fastest super cars in the world, the Ferrari 360 and the Subaru Impreza WRX sti! A once in a lifetime opportunity and a definite must for speed demons! Availability: Courses start at 9.00am and run on selected Saturdays and weekdays throughout the year. Spectators welcome. This experience will last for 6-7 hours.Valid for 12 months from date of purchase. Minimum age 17. Min height 5', max height 6'6". Max weight 17 stone. Participants must hold a full valid driving licence and be able of drive manual transmissions. Subject to availability and weather conditions. We reserve the right to cancel this experience due to adverse weather conditions that would affect safety. Some personal risk is involved and you will be asked to sign a disclaimer before your are allowed to take part. On all courses professional instructors access your ability to take part and we reserve the right to refuse any person from participating in this experience should we deem it necessary. This certificate is non changeable. This certificate is valid for one course and is non transferable. Please book 4-6 weeks in advance.